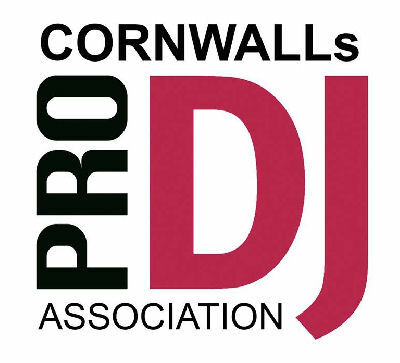 If you're looking for a reliable, professional DJ and Mobile Disco for an event or party in Cornwall then you have come to the right place. 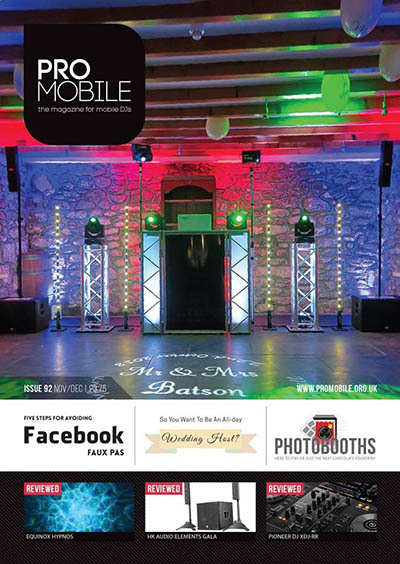 Cornwall's leading mobile DJ and video disco are available for all types of functions and events. We are specialists in providing the very highest quality entertainment for wedding receptions, teenagers parties and children's discos. With our wealth of musical knowledge and experience we can cater for almost any event, no matter how or big or small. We are fulltime professional DJs, meaning we do this for a living and our sole focus and priority is on your event and your party only. We are not like the majority of part time and so called hobby DJs who do this for a bit of pocket money who are having a little dabble on the odd weekend at your expense. To them your party or event will always come second place to their full time job. With us your party or event is our full time job, so we will make sure it's done properly. 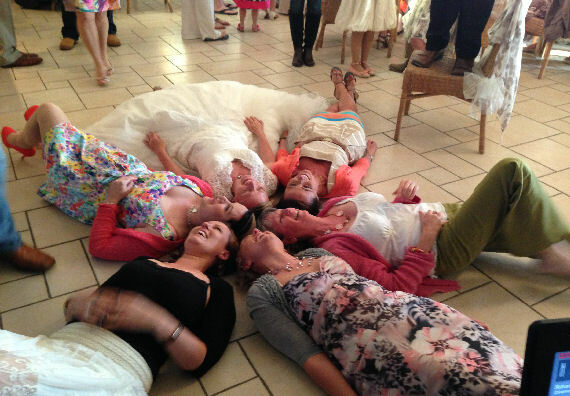 Please visit our dedicated wedding website: Cornwall Wedding DJ this shows you we are totally committed to ensure your wedding is a great success. SoundONE doesn't like to be put in the same bracket as your average disco. We take great pride in making sure our systems are not only the most suitable for your event, but look and sound great too. Our light show is amazing and our sound systems are second to none. Our Video Disco is amazing and our DJs are certainly not average but highly experienced. It doesn't matter what style of music you require or what type of party you want, whether you need a wedding DJ or wedding disco, engagement disco, anniversary disco, teenager or children's party disco, school prom or shcool leavers disco, birthday party disco, a night club style disco, corporate event, Christmas or halloween party or any other celebration or party, we can supply both the right equipment and an highly experienced DJ for you. We are based in Camborne and Truro and we class in and around St Ives - Truro - Newquay - Helston - Falmouth - Penzance - St Austell and the surrounding area as local. We often travel past Bodmin - Wadebridge - Launceston - Liskerard - Mevagissy - Looe - Fowey - Saltash and Plymouth. We are prepared too and often travel up to a 60 mile radius. 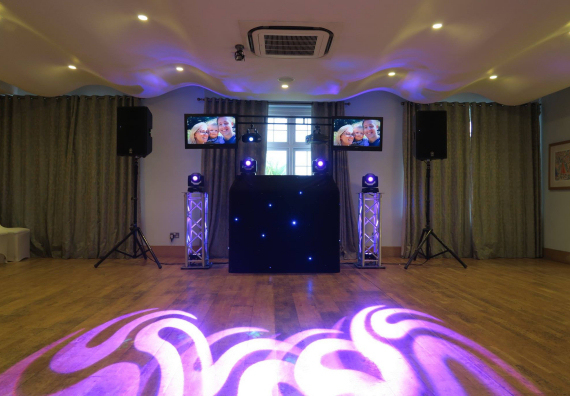 So if you want a professional DJ with a very clean, smart and modern look then try SoundONE, we have several styles to choose from modern, with crystal clear sound systems, using state of the art computer controlled intelligent lighting and video systems, with very experienced DJ's to suit almost any events. You won't be disappointed, so give us a call. 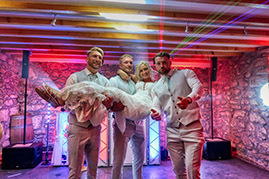 With SoundONE mobile disco always being at the forefront and leading the way with modern technology, not only do we have one of the best sound and lighting systems in Cornwall, we are one of the very few DJ's in Cornwall who can offer a fully computer controlled venue mood lighting service, alongside an already fantastic light show. 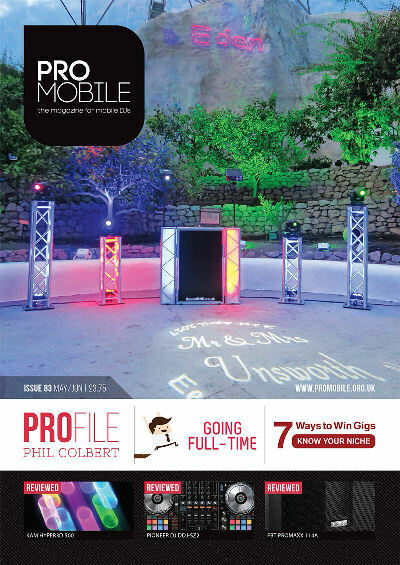 Our venue mood lighting can completely change the look or any venue in an instant. It can be used to make the most dull or boring venues look amazing or even make the most beautiful venues look absolutely stunning. We can either match your colour scheme or wedding colours or we can use the moodlighing to enhance the mood of the room. We can do alternated colours, smooth fades, pulses, quick changes in colour, strobing effects and much more because they are all computer controlled. We can even use them to compliment our lightshow, giving an awesome spectacular effect right across the venue. Due to large amount of feedback we recieve from our clients informing us how beautiful they felt the mood lighing makes the venue, we sometines run a special offer promotional discount. 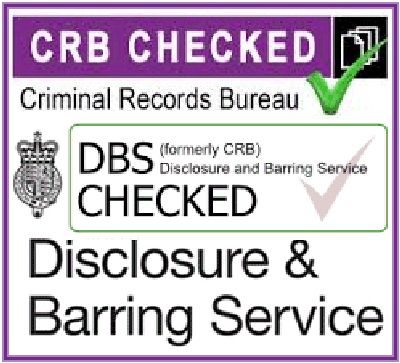 Once booked you will not be let down, that's a GUARANTEE (unlike others). 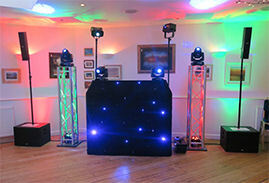 SoundONE Disco, Cornwall DJs are very reliable and highly dependable DJs and we carry full backup systems onboard. 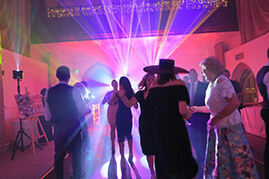 Unlike some you can rely on SoundONE Disco to be at your event and setup and running on time. We always turn up to your event clean and tidy and will do all we can to ensure your event is a success. Needless to say we are family friendly DJs and do not use foul language. Some people think that because we supply such a higher quality service than most, that we are going to be much, much more expensive then most. However you will be pleasantly surprised to know that in fact, our prices are very competitive and when you factor everything in, you are actually getting so much more value for your money. SoundONE provide a very high quality and experienced wedding DJ for the largest to the smallest most intimate of weddings. We provide a fun packed disco for children from 6 years and above. Including party hostest, lots of fun, games prizes and much much more. We are the only professional Video DJs in Cornwall, we can show music videos or do a slide show of any images you wish to supply. We are the South West leaders and pioneers of UV neon glow discos, leading the way while others try to copy and emulate us. 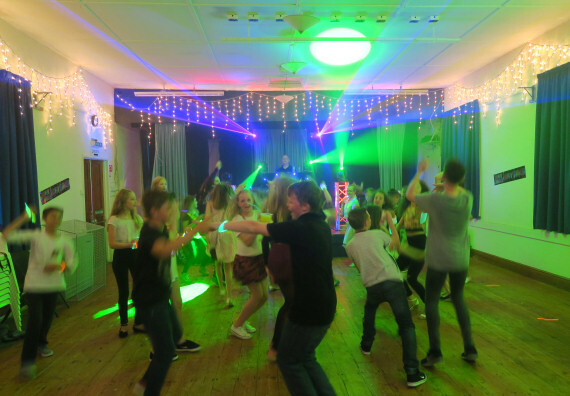 We provide the ultimate school proms, leavers discos and teenagers parties, for these we include the most amazing and spectacular lightshows Cornwall have ever seen. 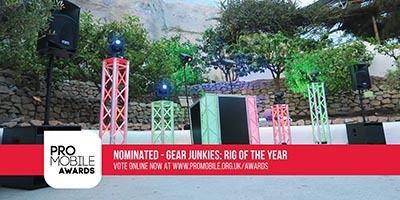 Using all computer controlled lighting, computer controlled full colour lasers, amazing high powered led moving heads and other special effects. We can also include a UV Neon Glow Party or a even a full Music Video Disco. Here you see Wadebridge School Prom: one of the coolest prom parties in Cornwall all their friends and others schools will regret that they didn't book with us. Each and every year we do several school proms and leavers disco, we make sure they get the most amazing and spectacular lightshows Cornwall have ever seen. Using all computer controlled lighting, computer controlled full colour lasers, amazing high powered led moving heads and other special effects. 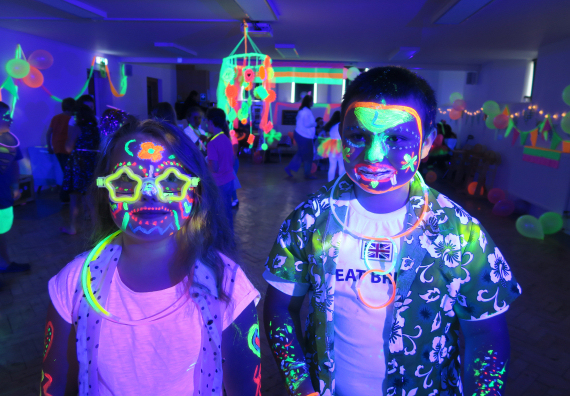 We can also include a UV Neon Glow Party or a even a full Music Video Disco. Here you see Sir James Smith's School Prom: one of the coolest prom parties in Cornwall all their friends and others schools will be green with envy.